that no one wants because of their disabilities. Dawn Cole was a bit reluctant to jump back into school; after all she graduated from SUNY – Empire State College in 2008 at the age of 48. She had always believed that the older we get, the harder it is for us to retain information. When she expressed her concerns to the University of Connecticut (UConn) eCampus staff, they suggested she try one of the courses for the program she was interested in—the Occupational Safety and Health Online Post-Baccalaureate Certificate—and then decide. But once she started, there was no looking back! 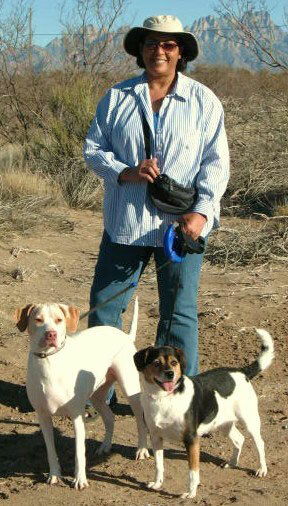 As Dawn says, “I absolutely loved the program.” And earning the credential also led to her getting a promotion. It’s never too late to learn. 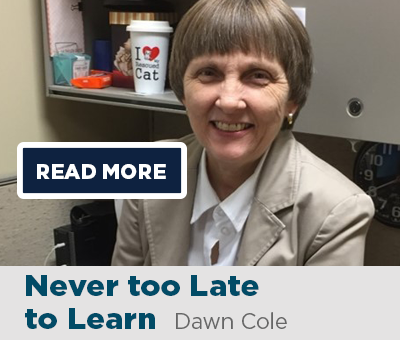 And learn is exactly what Dawn Cole did from the moment she started the Occupational Safety and Health Online Post-Baccalaureate Certificate Program in the fall of 2014, until she completed it in December 2016. With the certificate in hand, she was promoted from Quality & Safety Coordinator to her current position as Senior Environmental Health and Safety Technician for Anaren Microwave in East Syracuse, NY. Until enrolling in the program, Dawn had to learn the hard way: on the job. “I didn’t have any formal training when I started here in 1997 as a Quality Control Inspector. Sure, I had taken a few one-day workshops here and there, but that was it,” she notes. Then in 2013, her new supervisor reminded her that the company offers a tuition reimbursement program and suggested that she see if there were any courses that might fit her needs. From the moment Dawn began the first course, AH 3570 – Health and Safety Management in the Workplace, she quickly realized how much she didn’t know. “I had stumbled my way learning on the job. But that first course was a total eye opener.” Everything started to fall into place as she began learning the ‘whys’ behind all of the Occupational Safety and Health Administration (OSHA) regulations and her workplace safety policies. A lot of the course information had been reinforced through real-life experiences, which made retaining the information much easier. Online is easier, right? Wrong! So what about the online format? Did it meet Dawn’s expectations? Dawn says that when she was in college, she had done a few of her undergraduate courses online. So the platform was not entirely foreign. But when she started with the UConn online program, she was in for a big surprise. Las Cruces Desert of New Mexico. 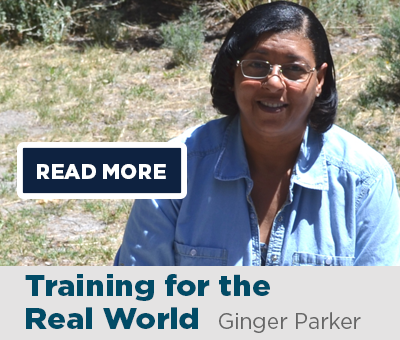 Ginger Parker had been working as a Safety Specialist for several years before she decided to look for additional training to enhance her skills and knowledge. 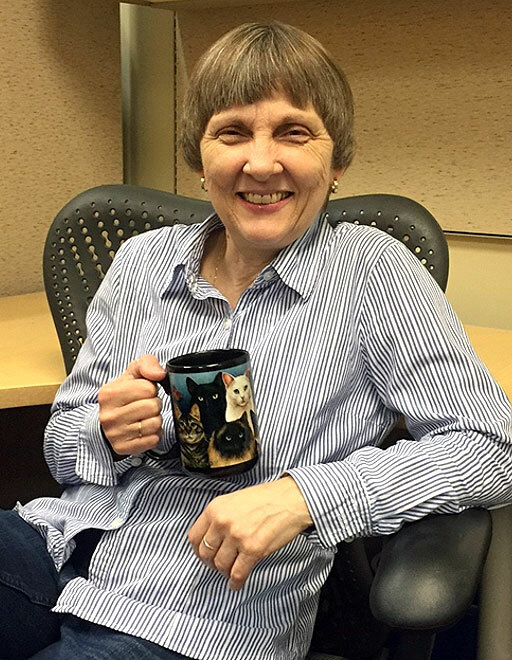 When she came across the University of Connecticut’s (UConn) Occupational Safety and Health Online Post-Baccalaureate Certificate Program, she knew she had come to the right place. From the moment she began the program in May 2015, she was able to put her new skills to work, protecting the safety and health of the students and employees at New Mexico State University in Las Cruces. safety requirements were met at the project site. 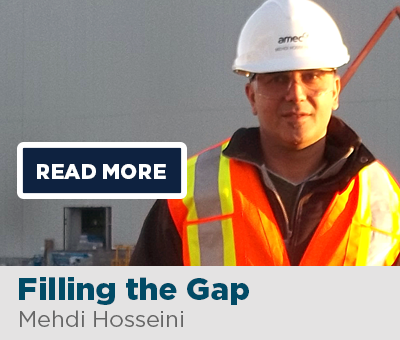 With his extensive various corporate and construction experience, along with exposure to various safety issues, Mehdi quickly realized the value and impact that health and safety can have on a company’s operation at the project level, as well as the personal level. That’s why he made plans to educate himself formally in the Occupational Safety and Health (OSH) field. 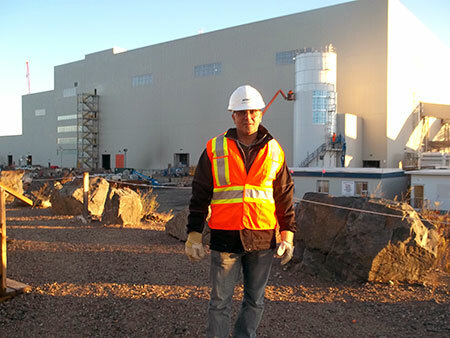 After the completion of his project in Alberta, he moved back to Toronto and decided to invest his time in taking the Occupational Safety and Health Online Post-Baccalaureate Certificate Program from the University of Connecticut (UConn). This was also an opportunity for him to fill the gap in his resume while looking for a job and to add new skills to his resume that could open doors to new opportunities. And in fact, while Mehdi was working in Alberta, occasional safety stand-down investigations were conducted and all construction workers were required to stop working during the investigations. “The cost of safety issues can be in the millions in extreme cases,” says Mehdi, who at the time, worked for the company on a project basis and was in charge of contracts, procurement, cost and document control. He was also involved in implementing safety requirements, which included attending daily “toolbox” meetings, half-hour meetings held each morning to discuss, train employees, and resolve safety issues. Mehdi began the Occupational Safety and Health Online Post-Baccalaureate Certificate Program in the fall of 2016, taking one course to start. The second semester he took three courses, then one final course the following semester to finish the 15-credit program in May 2017. To say the coursework was challenging is an understatement, says Mehdi. “The UConn program was more substantive than most of the professional development trainings, but less onerous and time-consuming than a full degree program,” he notes. Stephanie Cowan received a Bachelor’s in Fine Arts, specializing in metalsmithing, which opened the doors to her becoming an industrial mechanic. But when her company’s safety program inspired her to want to become a full-time safety professional, she knew she needed a way to bridge the gap. How would she make the transition? Online, through the University of Connecticut’s Occupational Safety and Health Online Post-Baccalaureate Certificate Program. It’s not easy making a living being a jeweler, especially right out of college—and especially if your passion is making three-dimensional pieces like boxes, silverware, and furniture, instead of traditional jewelry. At least, that’s what Stephanie Cowan found. With her Bachelor of Art’s from the University of Georgia—and her skills in metalsmithing—Stephanie knew she’d need to do something to pay her bills. But what? “I got into industrial mechanical work and found that I really liked it,” says Stephanie, who graduated from college in 2005. She worked for two different companies, installing piping, air, and water systems, completing precision alignment of equipment, as well as fabricating structural components. When her employer went out of business in 2009, Stephanie worked in the same field for a temp agency. “It was unusual for a woman to be on the job site. Often, our clients weren’t quite sure what they wanted me to do. So they’d ask me to check on safety,” recalls Stephanie. Of course, working full time left little time to get a master’s degree. So Stephanie realized that she’d need to take courses online, but they would have to be specific to safety. After some research, she discovered the University of Connecticut’s (UConn) Occupational Safety and Health Online Post-Baccalaureate Certificate Program. According to Stephanie, the discussion boards were another big benefit of the program. While students didn’t actually talk to one another, the program was, in her words, “very, very interactive. There was a big emphasis on providing feedback to the other students. As a result, there was so much back and forth that I got to the point where I would recognize individual people by their writing styles and personal experiences.” Stephanie also knows that if she hadn’t been able to participate on her own time, she would never have been able to complete the coursework. She visited job sites all over Georgia, often driving 2.5 hours each day, turning an 8-hour job into 12-plus hours. In 2016, Stephanie moved over to the safety side of IMI, accepting a position with Safe Workforce Development. Now a full-time safety professional with IMI, Stephanie conducts hazard assessments and training for the company’s clients. 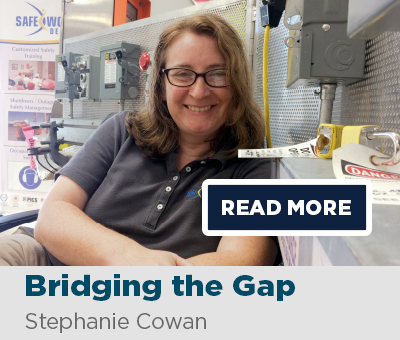 Every day on the job, Stephanie finds that she draws upon the information she gained from the program, especially what she learned about safety leadership, risk management, and OSHA standards. 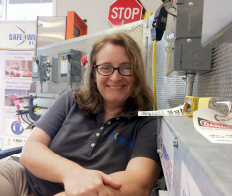 In fact, she is typically one of the people, along with her manager, who IMI looks to when it needs a safety professional to conduct training on OSHA best practices.